필살의 헤비메탈 '피해의식'!! 대망의 1집 [Heavy Metal Is Back] 발매!! 80년대 미국 글램 메탈에 대한 충실한 복각과 오소독스(orthodox) 한 재해석이 돋보이는 2015 최고의 화제작. 우리에게 자유육식연맹으로 더 잘 알려져 있는 보컬의 '크로커다일' 과 'DMOT' 등 언더그라운드 씬 에서 견고하게 실력을 쌓아온 베테랑 기타리스트 '손경호' 의 합작. 2013년 데뷔 싱글 [매직핑거] 로 화려하게 데뷔한 이후 순식간에 각종 페스티벌을 섭렵하고 북미 최대 쇼케이스 페스티벌인 SXSW 2015 로의 진출까지, 전무후무한 성장세를 보이고 있는 혜성과 같은 그들의 첫 번째 정규 앨범이 드디어 발매된다. 베이스의 '스콜피온' 과 드럼의 '타란툴라' 의 합류 이후 더욱 단단해진 사운드로 중무장한 본 앨범은 총 인트로 곡을 포함 총 13곡의 트랙을 담고 있으며, 데뷔 싱글 만큼이나 충격적이고 매력 넘치는 그들만의 이야기를 곳곳에 숨겨놓은 기발한 장치들과 다이나믹한 구성을 통해 펼쳐 놓았다. 재기 넘치는 그들의 이야기 방식과 그에 못지 않은 음악에 대한 뜨거운 열정에 당신은 온 마음을 빼앗기게 될 것이다. 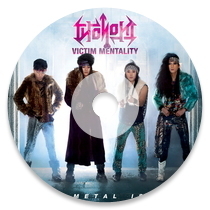 South Korean glam metal band Victim Mentality formed in 2009 in Seoul. The group was founded by vocalist Krocodile and guitarist Kyungho Sohn, who first bonded years earlier by jamming on Iron Maiden and Judas Priest covers. A veteran of South Korea’s metal scene, Sohn previously played in the melodic death metal band The Crescents and has been a member of symphonic black metal act Dark Mirror ov Tragedy since 2007. Wanting to showcase their love of ‘80s glam metal, Sohn and Krocodile teamed up to work on music that paid homage to the subgenre’s heyday. Taking their time, they crafted the songs for their first EP, “Magic Finger,” in 2009 and 2010 and recorded them as a duo in 2012 and 2013. In February 2013, Krocodile and Sohn invited bassist Scorpion to join Victim Mentality. In July 2013, “Magic Finger” was released. The offering boasts the powerful, catchy cuts “Don’t Spit on Me” and “I’m Not Your Friend” along with the title track, a power ballad dealing with the anguish caused by impotence. 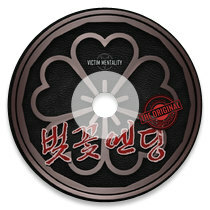 The EP ends with Korean versions of “Don’t Spit on Me” and “I’m Not Your Friend.” July 2013 also saw the band finally making their live debut. Not having a drummer, they relied on a drum machine for their initial gigs until drummer Tarantula was brought on board in February 2014. 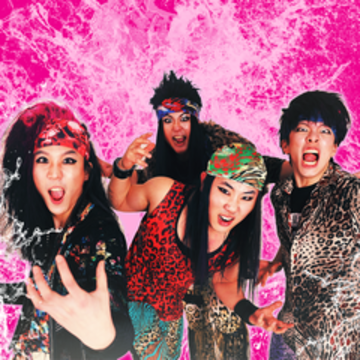 Deciding their style should match their sound, for concerts Victim Mentality sport plenty of leopard print, lip gloss, and eyeliner. And to keep audiences further entertained, flamboyant frontman Krocodile often brandishes a bullwhip while delivering his impassioned wails. Quickly winning over fans and capturing the attention of the Korean music industry, in May 2014 – less than a year after their first live show – the group played at Seoul’s Green Plugged festival and later that summer appeared at the Incheon Pentaport Rock Festival, one of the country’s most famed summer outings. 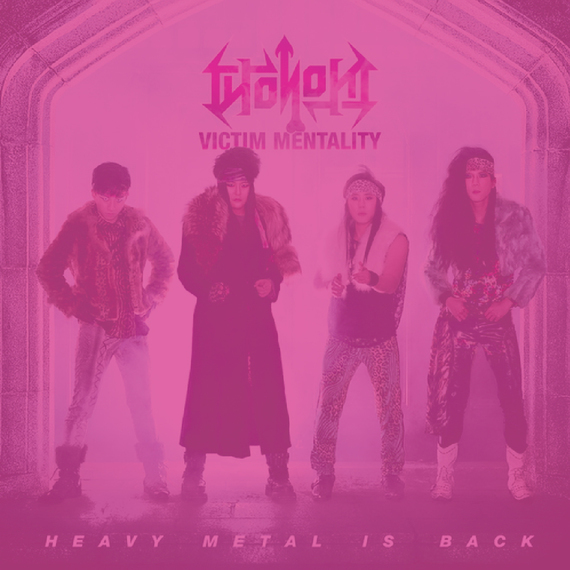 In spring 2015, Victim Mentality will release their debut full-length offering, “Heavy Metal Is Back.” The act will be embarking on their first American tour in March and will preview material from “Heavy Metal Is Back” at South by Southwest (SXSW).